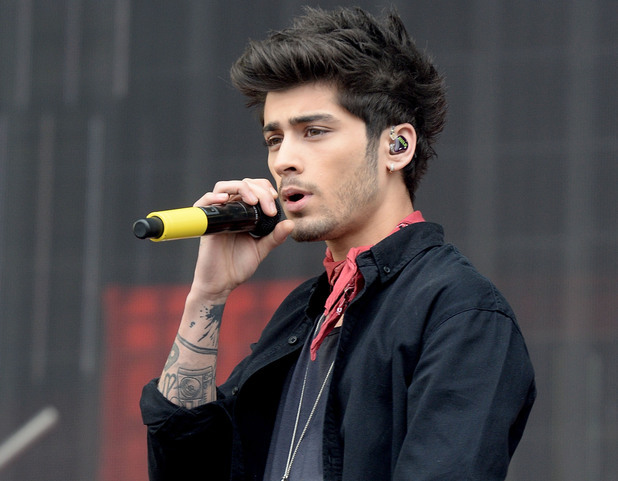 Zayn Malik has abandoned his One Direction Tour. Currently, the band is performing all over the globe on their fourth tour called On the Road Again, but the British star has decided to leave without completing it. Zayn, who is engaged to Perrie Edwards, has been signed off from the tour citing stress and anxiety. This is primarily due to the furor caused when the singer was photographed with another girl in Phuket, Thailand. One picture showed him holding a blonde’s hand whereas he had arms around her stomach in another. The 22-year-old spoke out against the ongoing speculation about his relationship with the Little Mix pop-star by declaring his love for his fiancée to his 14.1 million Twitter followers. He declared his love for Perrie and said that his actions were only being questioned by jealous individuals. One Direction is one of the biggest music acts of the world and they will continue to play shows from the Philippines and South Africa, through the United States and Europe, while Zayn returns home to Britain. A spokesman of the band said that he was going home to recuperate while the band would continue with their performances. Zayn’s fellow bandmates didn't make any comments about the events on social media, but they wish their mate well, as per the spokesperson. During a recent concert held in Hong Kong, which was sold-out, Zayn’s lack of engagement and difficulty in smiling were noted. Apart from that, he and Louis Tomlinson, his bandmate, were asked by the Philippine government to pay a bond of $5000 as a guarantee that they wouldn’t use drugs while they conduct a concert in the country. A local anti-drug group had cited an old video of the two singers smoking marijuana before they left Peru. While there was no proof available against this allegation, the band had apologized for the controversy caused by the video. According to reports, the 22-year-old singer also pulled out of a Coca Cola commercial to be filmed in Hong Kong so he could return to the UK for spending time with his family and relieving stress.